Wow! What a beautiful home! 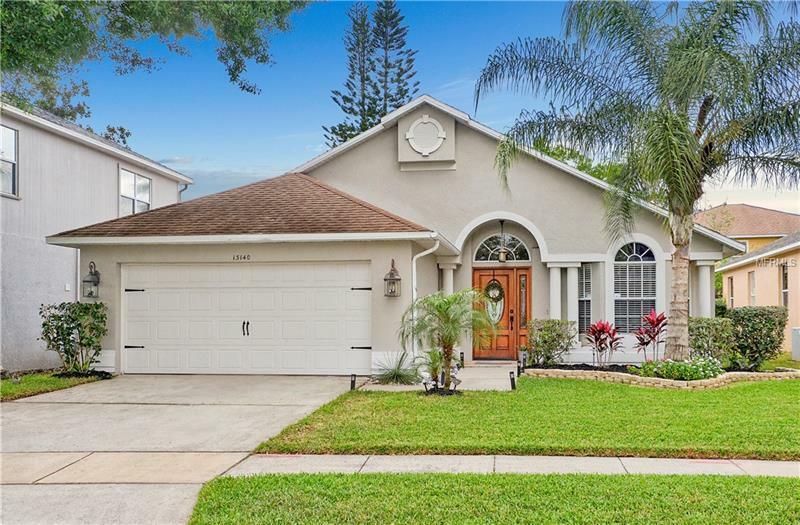 This upgraded home is located in Eastwood, a golf community. With great area schools, this home has easy access to shopping, highways and business centers. You will love the remodeled kitchen with granite countertops and upgraded cabinets. The master bedroom has a large walk-in closet and the master bathroom features a separate shower and jacuzzi tub and newer wall and floor tile. On the other side of the house one of the bedrooms is set up as a home office/study with a built in desk. The screened porch overlooks the private, fenced back yard. Eastwood offers many amenities including a golf course, community pool, tennis, two parks, RV/Boat storage, and fiber optic cable and internet. Hurry and schedule your appointment today!